Attached Winner of 2 BELA Awards! Home » Attached Winner of 2 BELA Awards! Yes, we are proud! Very proud, because this year Adaptive Globalization awarded Attached with not one but two Best Employers in Localization Awards! ‘Keeping hold of your employees for an extended period of time is good practice, and companies with positive retention often set a standard at the very beginning, sometimes even at the interview stages. The winner of this BELA are those who understand the importance of retention and have proven strategies in place to ensure that they will give the employee a difficult decision to make regarding leaving. Whether it’s simply a good benefits structure, salary or company culture, there are many different ways to keep employees happy and at the company to build their career. ‘One of the most prevalent reasons behind employees seeking a new role or an opportunity elsewhere is the lack of career growth. Employees that find themselves plateauing in their current role, without a clear plan or a distinct lack of opportunities are more likely to become disengaged and will probably be more open to jobs elsewhere. That’s why leaving a well-structured career plan in place for your employees is well regarded and has been recognized by this BELA award. With special thanks of course to the Adaptive team, for all their contributions to such an important part in our localization industry: the human capital! We have a vacancy for a real ‘language-y’ person to join our team in our office at WTC The Hague! You like all aspects of localizing content that represents some of the coolest brands and companies in Europe and beyond. Activities include reviewing, transcreating, conferring with our in-country linguists about diverse language choices, advising clients on the best content options available to them… The list of ingredients of this multi-faceted job goes on and on. If you have a Scandinavian background, you would make us really happy but this is not a must. Attached has already had a great 2018, which was kicked off with a rebranding and new workflow innovations. When the result is getting more clients and more work, more excellent PMs are needed to ensure our clients’ high expectations are met. Jennifer is a self-described word nerd and has worked in the language industry for over ten years. She began as a freelance translator and content writer before moving into a broader capacity at Attached | Language intelligence as project manager and language specialist. Here, Jennifer is able to perfectly combine her experience in marketing, business development and customer service as well as her love for the English language, her mother tongue. Her strong suits are creative content and helping clients sharpen their messages to better target their chosen markets. Jennifer is a US national but has lived in the Netherlands for over 15 years. She can be found cheering on her two children at their field hockey and soccer games. Jennifer enjoys playing field hockey herself, reading as many books as possible and tracking down strange ingredients for experimenting in the kitchen. Congratulations also to Laura Devies, our other new project manager. 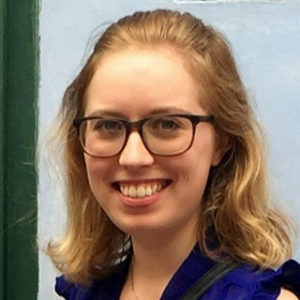 Laura has a great interest in languages and cultures and is especially passionate about Italy. That’s why she studied to become an Italian translator herself. Besides her passion for language, she takes a lot of pleasure in planning and organising things from translation jobs to dinner parties. She loves working at Attached because she can utilise those planning and language skills while working in an international environment. Besides that, Attached itself is very multicultural with colleagues just as enthusiastic about intercultural communication as she is. In her spare time Laura likes to cook, travel and enjoy nature. We welcome Laura to our team and can’t wait to taste one of her Italian specialties. 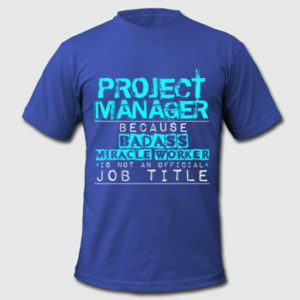 In June we welcomed project manager Inna Iljina to the team. Inna loves communicating with all types of people, enjoys organising, planning and managing everything from localisation projects to (birthday) parties and travel with friends. A true multitasker, she can easily juggle hundreds of different tasks simultaneously and always solves problems with a smile. Speaking four languages fluently (incl. Russian and Latvian) and being a truly international person, Inna likes discovering new cultures, nuances of other languages and learning something new every day. She can combine all of this working in the diverse and multicultural environment of Attached. Being very active, Inna plans something for almost every evening (like salsa dancing, drama classes, volleyball and board games, just to name the few). Inna cannot imagine her life without travelling and trying new experiences (for example, yoga with goats). 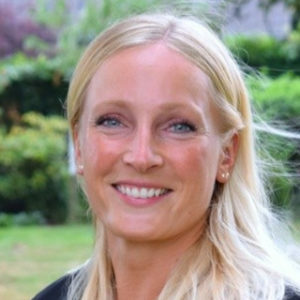 Last but not least, hello to our newest project manager Eveline de Vetten. 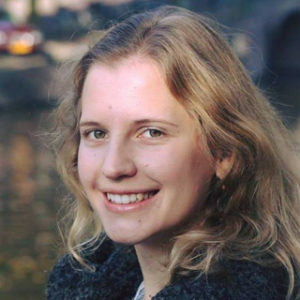 Because of her love of languages and literature she studied English at Leiden University. After doing a summer internship in 2016 at Attached, she is joining us again but now in the function of project manager. Aside from working at Attached, Eveline loves reading, writing, baking and walking. She looks forward to helping customers with their international communications. At Attached | Language intelligence, we are looking for an energetic, CAT-tool savvy and creative project manager – all to make sure our international customers keep showering us with compliments like ‘You guys really saved us this time’ or ‘You‘re simply the best’. So, are you the one? Then naturally you have a thing for languages and localization, a positive attitude, as well as some flexibility in your planning. You can read, write and speak English very well, and at least understand Dutch when spoken to. You like the challenge of non-standard client requests and feel good when being able to offer innovative, creative solutions. The job is for 32 or 40 hours per week. At Attached | Language intelligence, we are not just translating content from one language into another. We are operating on that fascinating crossing point where translations, localization, co-creation and copywriting meet. Being at the vanguard of our rapidly innovating industry, we attract customers that operate at the same high quality level. Attached: one of 30 most trustworthy companies! We are so proud to receive the accolade of being one of 30 most trustworthy companies of 2017 from Insights Success magazine! What influenced the decision by Insights Success? “Our consistent, intelligent and reliable language solutions for companies looking for international growth”, according to their article at: //magazines.insightssuccess.com/The-30-Most-Trustworthy-Companies-Of-Year-2017-January2018/. New Attached logo and website! This year Attached turns 18 – which means it’s time for a make-over! On 30 January, we celebrated the launch of our new website and logo, while also sharing our ideas and plans for the future. A fun event, which at the same time gave us all a boost of energy to move forward and combine our 18 years of experience with a continuous drive for innovation to offer clients ever more intelligent language solutions. Marieke Voorvelt gave a guest lecture about ways to ensure the quality in translations. 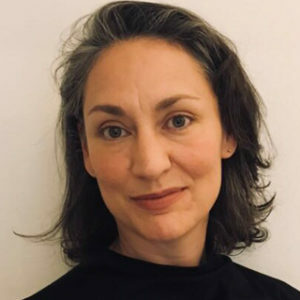 As part of the course Translation Criticism, a required course for the Master Translation Studies at Utrecht University, Marieke was asked to speak from experience. And she did. She talked about the ISO 17100 requirements for translation services. Moreover, she showed ways in which current technological advances can contribute to ascertain quality. Students were very interested to hear about her personal experiences working at a translation agency and the most recent developments in the field. Several years in a row now, the Master Translation Studies at Utrecht University has been voted the Best Translation Programme by independent sources. It offers Master programmes in Literary Translation as well as Industry Specific Translation. We are pleased to have Marieke being able to contribute to this programme. Our colleagues Thijs Senten and Leen Temmerman travelled to Prague to speak at the annual Elia ND Focus congress. Thijs and Leen inspired listeners with their presentation on Operational Excellence. Touching on topics such as continuous improvement, spotting opportunities and focussing on what matters, their talk was very well received. The attendees learned more about the optimisation of integration and technology. Emphasis was also laid on the fact that sharing knowledge and information is vital – something to which the attendees could certainly relate. The Hague University has renewed our contract as their supplier of translation, editing and CMS services. By offering these services to many different departments of the university, we are pleased to help them take further steps in their process of internationalization. As part of our service package, we not only translate all news items published by the university, but also upload them into the university’s content management system. By taking over this publication responsibility, we are able to significantly reduce the time needed to push articles to go live. 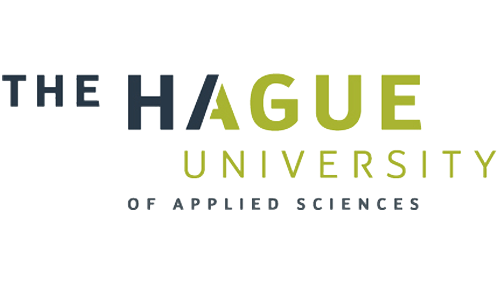 We look forward to continuing our partnership with The Hague University of Applied Sciences!